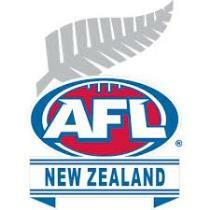 Wellington’s competition (WAFL) has continued to show progress this year. This is measurable through the number of junior footballers now coming from the Hawks Cup and playing in the local League. It is also apparent through the four Clubs all winning at least one game in the 6 round regular season and the weakest of the Clubs, the Wellington City Saints, seeing out the season and gaining numbers as it went along. With no Preliminary Final the Hutt Valley Eagles finished third with 2 wins whilst the North City Demons with 3 wins will play against the undefeated Eastern Suburbs Bulldogs this weekend. Another measurable factor is the close result of the Wellington Rep side against Auckland in October and the excitement already evident about hosting the National Provincial championships in early December. The North City Demons have a wealth of teenagers with many having played for NZ at underage level. These include Waylon Baker, Dylan Absalom, Sam Green, Alex Awatere, Lewis Gill, Jack Green and Hugo Phillips. They have current NZ Hawk Sam McKenzie, Tasmanian playing coach Shannon Wall and former NZ reps in Dean Ellis, Mike Willis and his evergreen brother Rob ‘Bo’ Willis. Seasoned campaigners Kiernan ‘Chop’ O’Gorman and Peter Geale will provide some guidance around the field. Wall said of the season so far “We’ve had good hit outs. For the first time in many years the Demons have had 18+ players every week and have had 38 players registered over the 6 week season. We have a very young team but they are all learning and helped by the older experienced guys. There has of course been some inconsistency with the age profile of the team and player availability”. In speaking with Bulldogs captain James Terry he said that the Bulldogs had rebuilt well this year after losing numerous key players overseas at the end of last year in Guy Ferguson, Ryan Roselli, Andrew Eastwood, James Patterson and Brady Cates. The move to a mainly Saturday based competition to enhance the social side of the season has also cost the team those who preferred cricket in Lance Williams and Tim Rayner. The long term injury to star NZ junior Kade Riddell has also cost him the domestic season. However one thing the Bulldogs have always been good at is recruiting and they too have had 38 representatives over the 6 rounds. Pleasingly 22 of them have played at least half the season. Current and former NZ reps include Stan Chung, James Terry and Wayne ‘Yoda’ Harvey with two Australians in playing assistant coach Jason Wozniak and Rob Murphy who has also played in Canada. Experienced Dogs in dual Best and Fairest Pete Halstead and regular Wellington reps in Josh Tickelpenny, Blair Mills and Liam Townsend will be joined by a host of exciting newcomers. The Club has had 19 new players debut this year of whom 16 had never played before. Some of these such as Adams, Buckley, Grieve, McLean, Ross, Saenbouttarath and Shervey have become key parts of the team. Manager Matt Lewis said ”It has been another great year for football in Wellington and we are pleased to have another undefeated season, so far, to back up last season. We have worked hard to recruit talented athletes and we play a good standard of footy. We are really looking forward to the challenge of the Demons”. Both Bulldogs coaching legend John Jackson and his Demon’s compatriot Shannon Wall said it “has been a great season best in many years, we just need to keep recruiting and educating players and officials”. Wall continued “We have the best group of kids coming out of AFLNZ programs ever and that has helped significantly”. The addition of a teenage cohort will be the next step for the Bulldogs. I’m sure all in Wellington will look forward to a tough contest, with the wind hopefully staying away and the game being played at both ends of the ground!! !